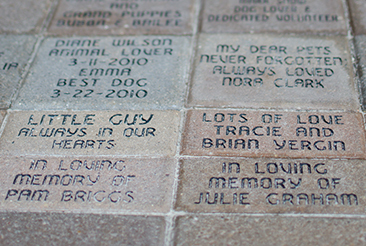 The gift of a engraved brick is a wonderful way to honor or memorialize someone or "some-pet" that has been special and at the same time support the mission of the Humane Society of Huron Valley. The pavers become a permanent addition in the walkway that leads to the front of our shelter. After choosing the size, you will be able to specify what message you want engraved on your brick.